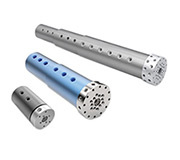 Rotary unions is a precision mechanical device that allows transfer gas and fluid from the rotating structure to the stationary structure, the rotary joint is also called rotary swivels, rotary couplings, rotating joint, to achieve 360-degree rotation and does not influence the medium transmission. Transmission media include water, oil, coolant, gas, MQL, electrical and etc. 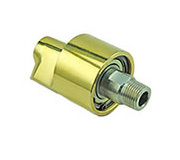 Cosmau has decades of experience in design and development rotary unions, the use of imported seals (mechanical sealed and impregnated Teflon seals). 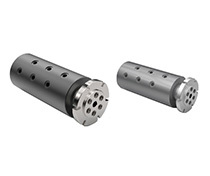 Cosmau's rotary joint involves single passage rotary union and multiple passage rotary joint, to meet the high-speed, high temperature, high pressure and extreme conditions use, used in a variety of automation and electromechanical industries. 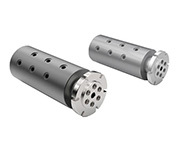 Type: Gas, hydraulic, high pressure, high speed, high temperature, as well as various special rotary joint. Applications: Covering all manufacturing industries such as: metallurgy, Machine tools. Power generation, Oil, Rubber, Plastic, Textile, Printing, Papermaking, Food. Installation: Usually screwed and flange mounting, we can we can set up various types of connections according to the specific device structure of customers. Maintenance: For the key point is to ensure the rotary joint to maintain the internal pipe cleaning, to prevent foreign matter or irrelevant media into the pipe, to avoid unnecessary damage factors on the sealing structure. 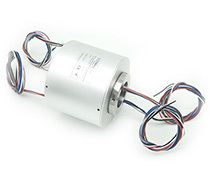 In addition, this rotary union can combine with slip ring to achieve hybrid transmission. 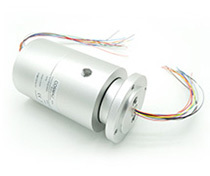 More details at Hybrid Slip Rings.